MUST SEE one-story brick ranch (2975 sg ft) oasis nestled on .84 acres in Prestigious Sedgefield! 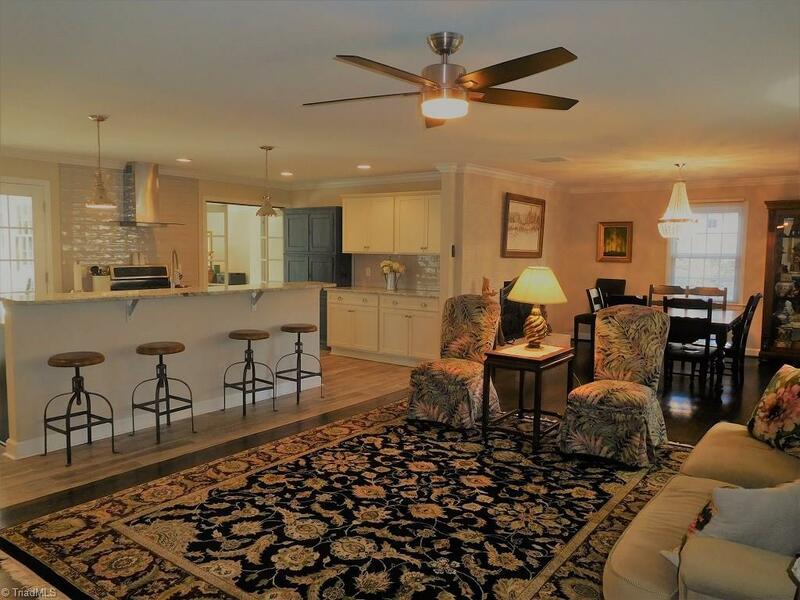 4BR, 3BA completely remodeled, open concept home- short walk to Wyndham Championship golf course! New baths, flooring, Roof, HVAC, updated fixtures, 2 fireplace, gorgeous in-ground pool & natural light! Split floorplan w/French Doors offers privacy or In-law Suite option. Sunroom over looks pool & large backyard-Perfect for Entertaining. Space for office, exercise room, or storage! Pre-inspected & Appraised.